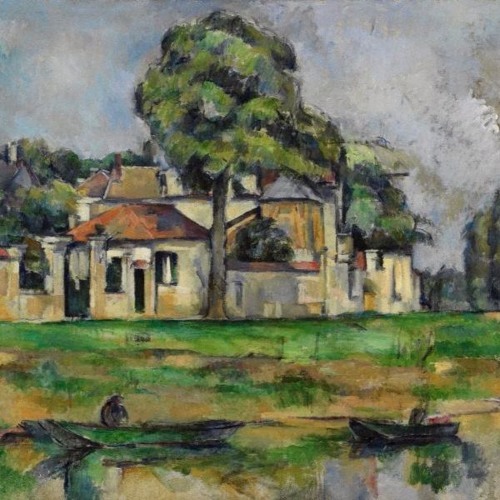 In this talk, philosopher Paul Guyer discusses Paul Cézanne's 'Banks of the Marne' (c1888). Responding is philosopher Elizabeth Burns Coleman. Paul Guyer is the Jonathan Nelson Professor of Humanities and Philosophy in the Department of Philosophy at Brown University, USA. He has written extensively on the history of philosophy and is considered one of the most eminent scholars of the philosophy of Immanuel Kant. Of particular relevance to this symposium, Guyer wrote the three volume 'History of Modern Aesthetics' (2014). Elizabeth Burns Coleman lectures in Media and Communication Studies at Monash University, Australia. She writes on freedom of expression and cross-cultural communication, including the monograph 'Aboriginal Art, Identity and Appropriation' (2005). To view Cézanne's painting while listing to this talk visit: www.artgallery.nsw.gov.au/collection/works/320.2008/ Image: Paul Cézanne, 'Banks of the Marne' (detail) c1888, Art Gallery of New South Wales.